The past few days I have been having the most fun with Dylan. He has been so well behaved and cute that he has me wishing I could spend all day and everyday with him. There's no slowing Dylan down anymore because as of yesterday he is an official rugrat that spends his time crawling around every inch of his room. At one point I was trying to get a video of his mobility but he stopped at his crib and used the bars to pick himself off the ground and stand up. "SH**!" I said on the recording, I did NOT expect him to stand so suddenly. I'm a bit freaked out by his ambitious nature considering he quite literally just figured out how to crawl forward without stopping. Dizbaby doesn't want to walk, he wants to RUN! His high energy translates to high stakes and I can see high anxiety in my future. Dylan is also becoming a lot more affectionate. I must have looked like an easy target to him while I was lying on my yoga mat in his room because the second he spotted me he crawled over like a madman attacking my face with kisses and trying to crawl on top of me. But I'm not the only one he's kissing. 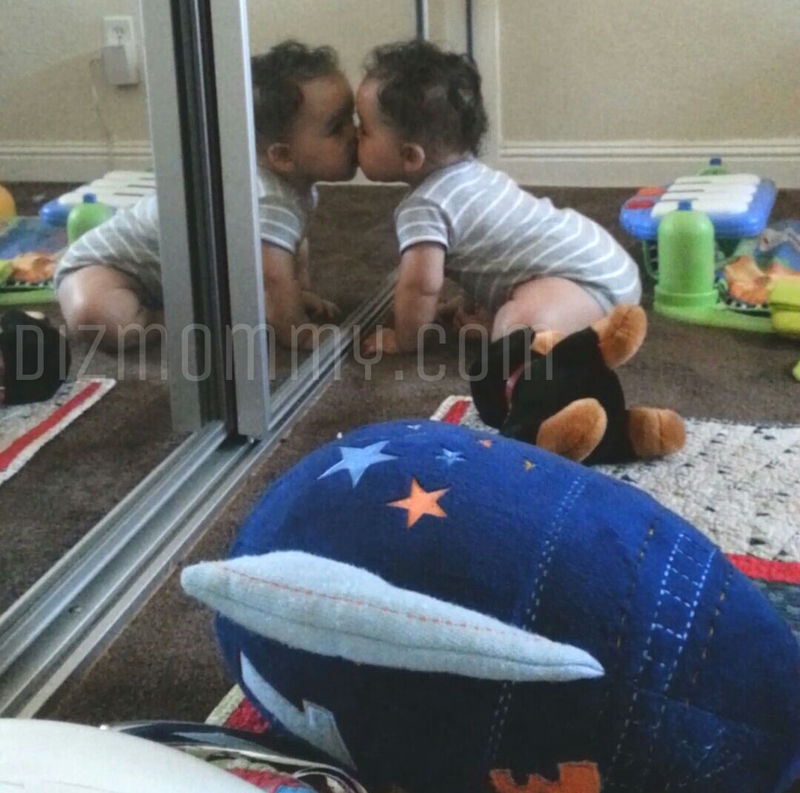 Dylan has always enjoyed looking in the mirror but lately he has been interacting with his reflection more and more. After leaving him in his room to play for a few minutes my husband and I returned only to catch him kissing his reflection. We spied for a little while but we couldn't contain our laughter for very long before getting caught. Dylan is my very own little sunshine and I simply cannot compute his cuteness anymore. He is blowing my mind! I LOVE my little big boy.